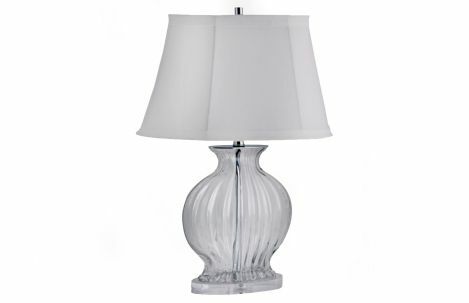 Table lamp has a clear glass fluted body in an oval shape with a linen shade. Available in the color shown. 100 watts, 8 foot silver cord. Shade Dimensions: 7"x 14", 10" x 19"